Wednesday night marked the beginning for the NHL season. The season was kicked off with games between the Rangers and the Blackhawks, and between the Leafs and the Canadiens, to name a couple. 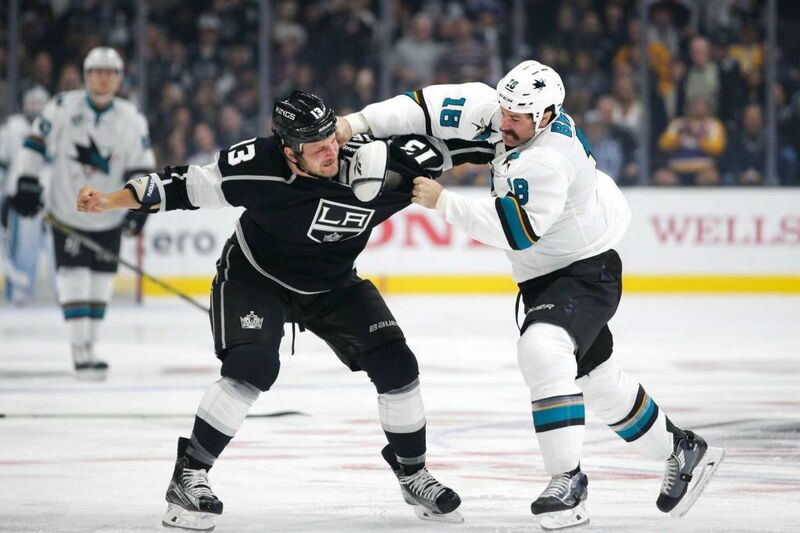 Most importantly, the Los Angeles Kings faced off against the San Jose Sharks for their first game of the season. The game didn’t end as glorious as Kings fans would have hoped; however, the Kings have a sunny future ahead of them. Last year, the Kings failed to make the playoffs for the first time in 5 years, despite them winning the Stanley Cup in 2014. As shocking as this was, the players and the organization put effort during the off-season into creating a great team for the 2016 season. Three LA Kings players were officially booted off the roster this off-season. Jarret Stoll was arrested after he was suspected of possessing cocaine and ecstasy in April. He then pleaded guilty and the Kings sent him off as a free agent. He signed to the Rangers in August. Mike Richards, who had been performing less than amazing in the 2015 season, was caught at the Canadian-American border in June attempting to smuggle illegal substances. 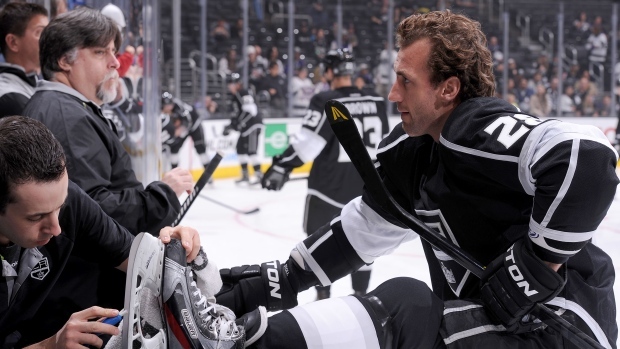 This proved to be the best bit of luck for the Kings, as they could terminate Richards’ contract due the incident. Slava Voynov recently made plans to return to Russia after he was threatened with deportation. He was officially cut from the Kings roster almost a year after he was arrested on domestic violence charges. Following this, the LA Kings have partnered with Peace Over Violence to create the Kings Over Violence initiative. Additionally, to address the substance issues which occurred with Richards and Stoll, the Kings have partnered with the Herren Project, started a sexual harassment training program, and a conduct awareness program. The Kings organization has truly turned a new leaf. Alleviating themselves of expensive players, the Kings made room for Milan Lucic from the Boston Bruins. Of course, the Kings traded Martin Jones for him. In the end, Martin Jones went to the Sharks and nearly shut the Kings out on Wednesday night. That being said, the Kings expect big things from powerhouse player Lucic. For most, the highlight of Wednesday night’s game was when Lucic used his 235 pounds against Couture of the Sharks. 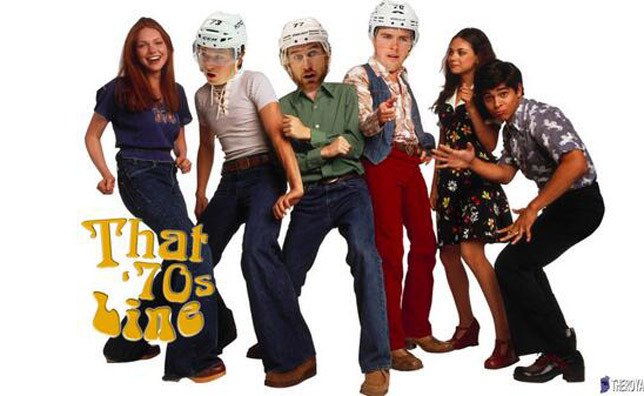 That 70s Line is back! Tanner Pearson, who was out for several months last season because of a broken leg, is back at it. He joins Jeff Carter and Tyler Toffoli in That 70s Line, who are sure to dominate the season as they have in seasons past. Imagine Milan Lucic, Marian Gaborik and Anze Kopitar on one line. Well, it’s happening. Two of those three players have been featured in NHL All-Star games and all three are truly skilled. Expect amazing things from this line this year. Finally, ESPN’s experts made their predictions for who will win the cup this year. For experts picked the LA Kings to win the Western Conference and one expert, Barry Melrose, picked the LA Kings to win the cup as well. With all this on our side, the Kings are in for a killer season. Go Kings go! Share because the Kings have a hell of a season ahead of them.